In Indian tradition, wedding is considered to be a very auspicious occasion. Therefore, in order to prevent the negative impinges on marriage festivities, and to minimize the harmful effects of the ‘evil eye’ on the bride and the groom, all possible measures are taken. Although, these beliefs may sound extremely conservative to a progressive and modern family, but still these superstitions are prevalent even in several educated families. Let’s have a look at some of these interesting Indian wedding beliefs and superstitions. The time period from engagement to marriage, brides are asked to carry a knife or some other sharp metallic object all time. It is believed that it will protect the bride from ‘evil spirits’, and protect her virtue from the world. Application of mehendi on the feet and hands of bride, one night before the wedding ceremony is a tradition. However, several superstitions surround this tradition. The darker the bride’s henna colour appears, the stronger her marriage will be. Another superstition is that, if the mehendi lasts longer on the hands of the bride than her groom, she will get a lot of love at her in-laws’ place. Several cultures around the world practice this tradition. 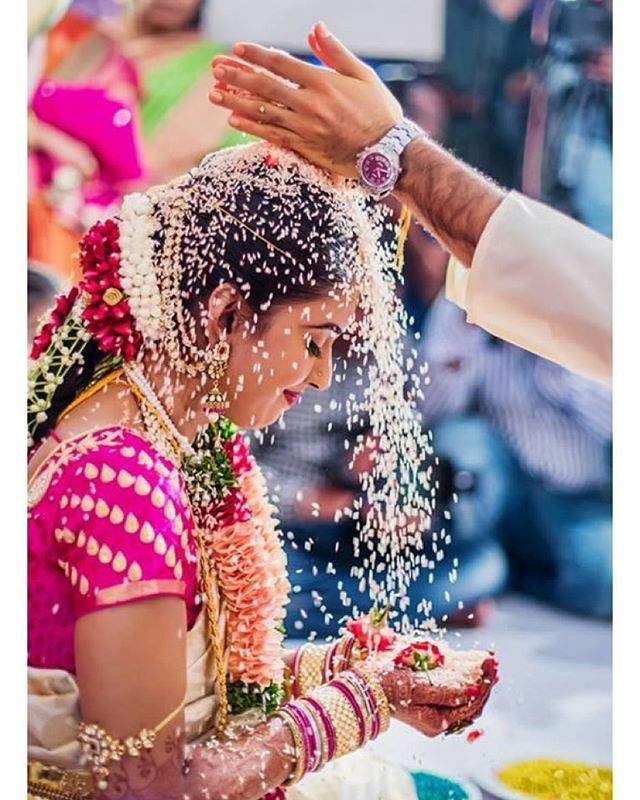 People shower their wishes and blessings with rice on the bride and groom. It’s a symbol of fertility and abundance. In some cultures, it is believed that this practice protects the newly wedded couples from evil spirits. How would you feel if your wedding day is damp by a downpour? Most of you will certainly hate it! However, it is considered sacred in some cultures. 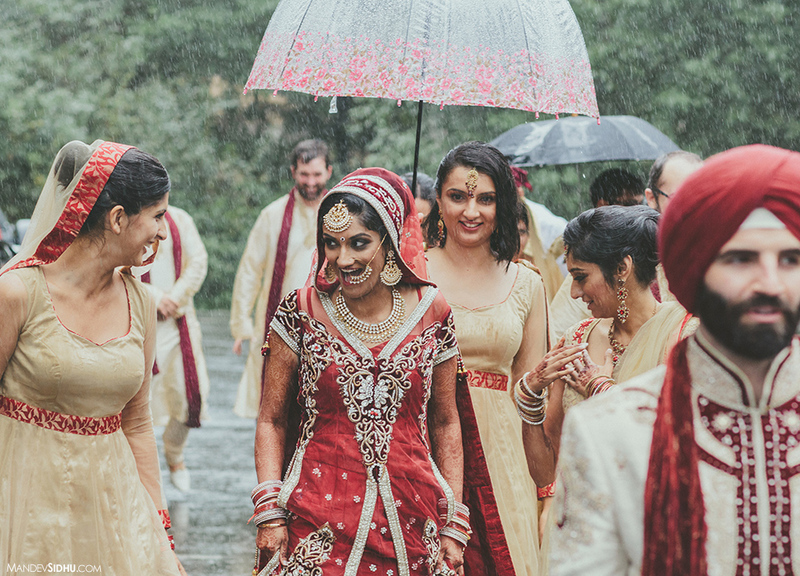 Rain on the wedding day is believed to be a sign of fertility and wealth. pilling of boiling milk during, before, or after the wedding is consider to be a bad omen. It is taken as a signal of some pending misfortune. Therefore, during wedding, family members must observe precautions while boiling milk. Sputtering of lit candles during a wedding is believed to be a bad sign. It indicates the presence of an evil spirit nearby. It was formerly a tradition for the Groom’s family to pay a price to the Bride’s family for the woman. In return, the Bride’s family would provide the couple with a dowry of various items for the new home. As a Bride planned for her future Marriage, she would supplement this dowry with her own items that she had either collected or made like embroidered linens, for example. All items would be kept in a special Hope Chest built by the Bride’s father for the purpose of housing the dowry. The dowry is also sometimes referred to as the Bride’s “trousseau,” which comes from the French word “trousse,” meaning “bundle.” Indeed, the trousseau originated as a bundle of clothing and personal possessions which the Bride carried with her to her new home and which included all of the new items for the household, as well as for the Bride herself.